I realized that in the quest of doing everything I was doing nothing properly. During my first job, my boss gave me this title “Mr Multitasker.” I loved the tag and for eight years I strived to keep it intact. I was always the guy who was doing too many things at the same time. It made me feel that I am accomplishing a lot, made me feel that I am cool, a rockstar. However, in reality, I was just burning out. I was always living under constant pressure of losing out on important things. I was spending most of my time at work, but it did not reflect in my career graph. I had no time to read new books, didn’t save any money, and I was overweight. I was probably at my emotional lowest point when I quit the organization I was working for four years. It was a job I was emotionally attached to. I was the sixth employee when I joined, and I saw it growing from a small setup to the cover of ‘Fortune India.’ I did not have a job or plan when I put down my papers. One morning I just felt that I could not do it anymore, and I quit. It made me take a hard look at the way I was living my life, and I realized that in the quest of doing everything I was doing nothing properly. Fortunately, I landed up with NEN that is proving to my most fulfilling job so far. With a new job and a new city, I was determined to bring some changes to my life. It is too early to claim that I have achieved anything, but mentally, I am at peace. Last year we built ‘Entrepreneur Academy’ with a team of two, from zero to 20K members. My efforts are appreciated internally as well externally. I lost more than 15 Kg and leading a much healthier life. Every day, I am able to wake up at 7 AM, I am reading at least one book each week, have some control on my finances and able to buy an apartment. The change that had most impact on my life is shifting from multitasking to focusing on one thing at a time. When I started researching on life style changes, I found tons written on how multitasking comes in your way of achieving results. It seems that our brain cannot multitask at all. We multitask because one; it gives us a false sense of fulfilment and two it makes us look good. Once you realize these two traps, you can find your focus. However, it is easier said than done. I still struggle every day not to jump from task to task. It requires a lot of ‘talking to yourself’ to stay focused. Technology can help. I use two tools every day to stay on track. First is Trello. 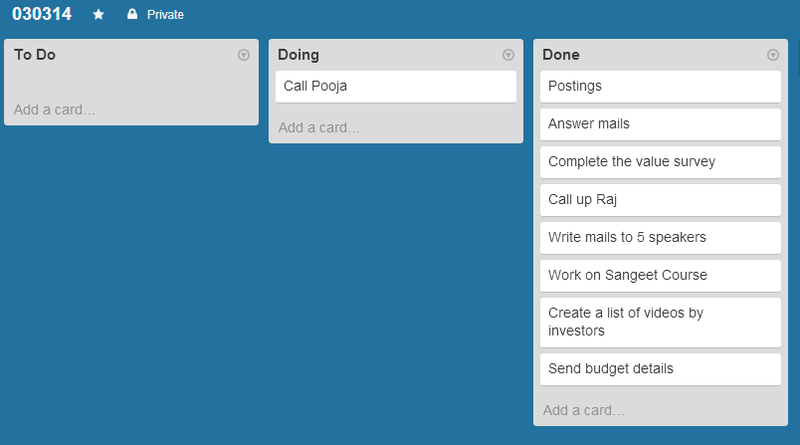 “Trello” is a simple browser based app that helps you to organize your work. It takes a visual approach to creating a ‘to do’ list. Instead of making a list you create cards. Your cards are organized in three buckets “to do”, “doing”, and “done”. You just drag your cards from one bucket to another. That simple! Every morning at work the first thing I do is to create my “to do” list. I do not touch the next task until the task in hand is moved to the “done” bucket. For example, my first task every day is to schedule social media posts for the day using “Buffer”. It takes me about 1.5 hours every day to complete this task. I do not open my Inbox until I schedule all my posts. 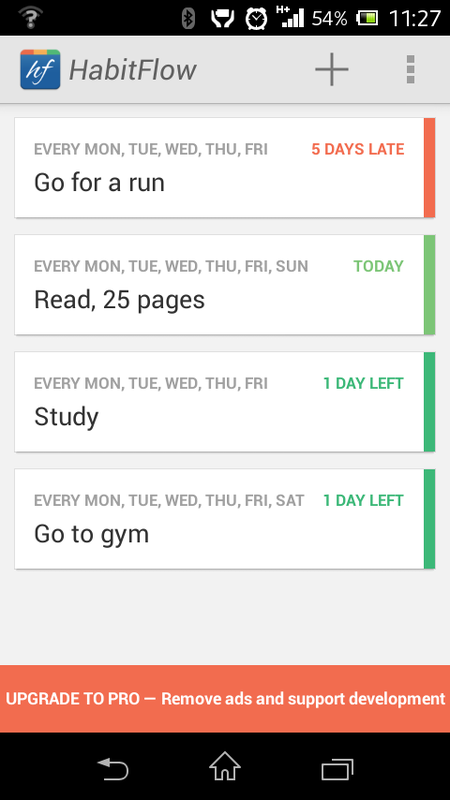 Here’s a screenshot of my typical day. As I mentioned earlier, it is still too early. It will take considerable time and effort to undo the bad habits of a lifetime. However, I feel, I am on the right track. So, wish me luck ? This post was originally published on Medium. View the original post here.